Joy! The Mini-Gathering — Sept. 12-13, 2015 – Port St. Lucie, Fla.
A spiritual workshop is scheduled for Sept. 12-13, 2015 at Linda’s sanctuary home, in Port St. Lucie, Fla.
After decades of learning, clearing, creating and celebrating, we enter the New Octave of our journey together as we get ready for this workshop. Archangel Gabrielle tells us “Joy is knowing God; it is the deep knowing of your own wholeness, and it is reflected and held throughout the Universe.” Joy is effortless, joy is grace, joy is laughter and happiness without the cloud of sorrow – not denying the past but acknowledging the place of all people, events and situations in our unfoldment. Joy is what we came here for. Does you heart yearn for Joy? Not just that temporary reactive state of happiness but Joy – that big smile in the tummy, that golden sense of well-being that permeates every fiber of your being, that fills every part of your day, penetrates everything your do, transmits to everyone you know. Joy is our natural state of being – it is the original form of creation – the form we assumed when the Mother first birthed this planet of Love. We came here as angels in form to have a physical experience of Love and Joy. We came here not to strive or struggle but to simply be in that wondrous creation of physical, mental, emotional and spiritual Joy. It’s time to get that sense of wholeness, of being, back. Linda is opening up her sacred space in her Port St. Lucie, Fla. home for this Gathering. Therefore, it will be an intimate gathering and there is a limited number of seats available. When: Saturday and Sunday, Sept. 12-13, 2015 (with a casual reception on Friday, Sept. 11). Where: Linda’s sanctuary home, Port St. Lucie, Fla.
What: A mini-gathering that includes workshop book, downloadable audio meditations, Friday evening reception, channelings music, and much more. To register, visit The Sacred Store. Airport: The closest airport is Palm Beach International, located about one hour south of the workshop location. Accommodations: A list of nearby hotels will be provided upon registration for the workshop. Need a roommate? Send us a note in your registration form, and we’ll begin working on that for you. Parking: There is plenty of parking at the workshop location. This gathering is for those who simply want to find and express their Joy in an environment of unity and community – a gathering to express our continued commitment and love for Mother Earth and each other. This is a workshop for pioneers, teachers, healers, star beings, intergalactic transmitters, shamans, medicine men and women, warriors, fairies, earth-keepers, elementals, angels, and halion engineers – in other words this is a workshop for each and every person who has ever witnessed a beautiful sunset, a quiet morning, or wished upon a shooting star. This is for everybody whose heart soars with the gold of sunrise and who yearns for peace and prosperity for all beings upon the Earth and far beyond. This is a workshop for everybody who has ever wished to find that quiet place of serenity and the still-point. This is for the strong individual who is committed to becoming all that they can be – the fulfillment of their potential and promise. If you have been with us at the Sedona Gathering each year or never before you are welcome; everybody is – come join the Circle. The only question you need to ask about coming is Are you ready to embrace Joy? Will you? 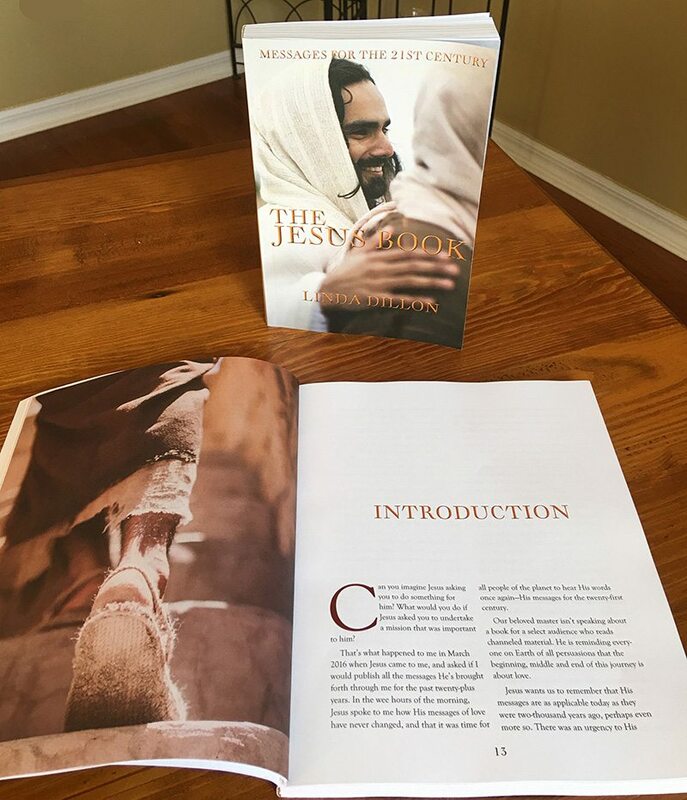 The Jesus Book is here!